To ensure the wealth transition event (e.g. death benefit proceeds, qualified plan beneficiary distributions, inherited assets) is stewarded the way your family intended. 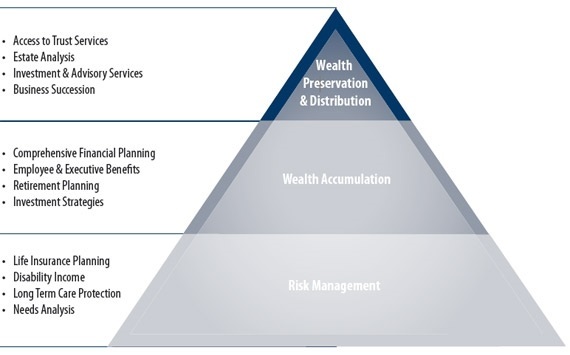 Review and run an analysis on trust documents and investment statements to ensure trustee and beneficiary protection from wealth destruction. The information provided is not written or intended as tax or legal advice and may not be relied on for purposes of avoiding any Federal tax penalties. Our representatives are not authorized to give legal or tax advice. Individuals are encouraged to seek advice from their own tax or legal counsel. Individuals involved in the estate planning process should work with an estate planning team, including their own personal tax or legal counsel.